Bruschette - Kosher In The Kitch! Bruschette - Kosher In The Kitch! Dice the tomatoes and onions. 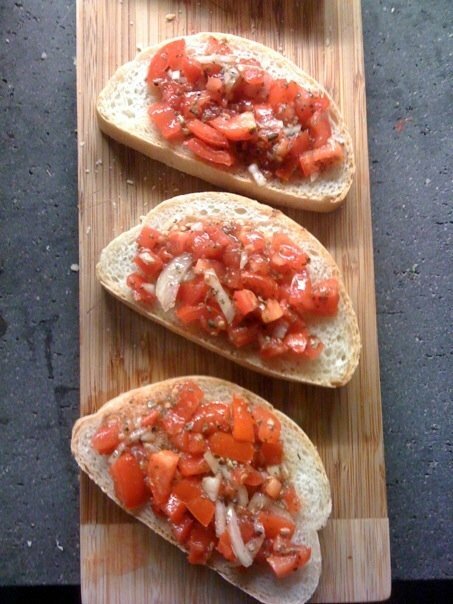 Mix together with some olive oil. Add the salt, pepper and oregano. 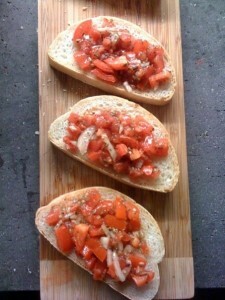 Then place small amounts on top of the toasted sliced bread.